Minot State University Summer Theatre closes its 50th anniversary season with “The Music Man” July 21-25 at the MSU Amphitheater at 8:30 p.m. Chad Gifford, Summer Theatre’s associate artistic director, directs this musical. “The Music Man,” a 1963 Oscar award-winning musical with book, lyrics and music by Meredith Willson and based on a story by Willson and Franklin Lacey, features well-known songs such as “76 Trombones,” “Till There Was You” and “Gary, Indiana.” Last performed at Summer Theatre in 2003, this classic has enchanted generations of theatregoers several times over the past 50 years. The play revolves around Harold Hill (Lukas Graf), a fast-talking con man trying to sell the tiny town of River City, Iowa, while posing as a boys’ band organizer and leader, despite not knowing the difference between a trombone and treble clef. His nefarious intentions are inadvertently thwarted as he finds himself transformed by the town’s citizens, and in love with Marian Paroo (Acacia Doktorchik), the town’s librarian. 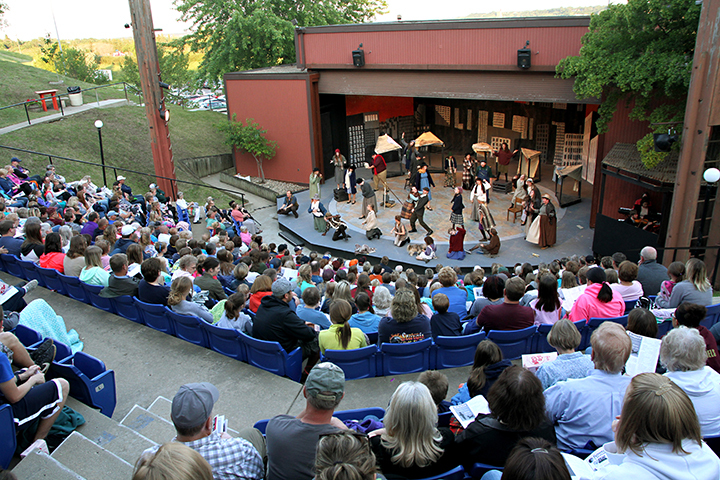 On performance nights, the box office opens at 7:30 p.m. Tickets are $10 for adults, $8 for senior citizens and children over 12, $5 for children 12 and under, and $3 for MSU personnel and summer students with current MSU ID. There are also special rates for active military and their immediate dependent family members. For reservations, call 858-3228. For more information, visit www.minotstateu.edu/theatre/summer.shtml. 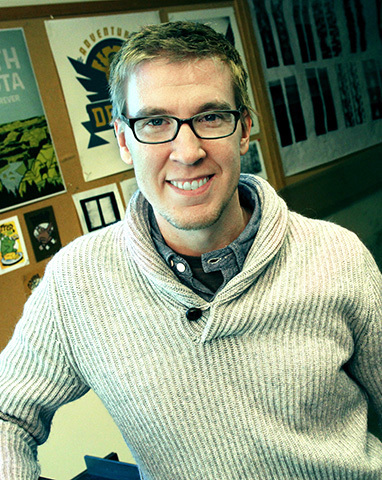 Ryan Stander, assistant professor of art at Minot State University, has been awarded an Individual Artist Fellowship for $2,500 from the North Dakota Council on the Arts. The Individual Artist Fellowship program recognizes and enables practicing North Dakota artists to improve their artistic skills and enhance their career opportunities. While attending the University of North Dakota, Stander began experimenting with forms of alternative photographic processes like the cyanotype and Ziatype. With an interest in ideas of memory and place, the antiquated printing processes seemed a natural fit. He began making increasingly experimental pieces, moving from the standard cotton-based papers toward ephemeral Asian papers, as well as an opposite trajectory of wood panels. Since his graduate school experiments, many new digital coating polymers for printing have been developed, which will be tested. Expanding upon these processes will greatly expand Ryan’s repertoire as an artist and extend the life of this current body of work while shifting it into a new and exciting direction. As a requirement of the fellowship, any newly created work will be made public through exhibits in multiple parts of the state in the coming years. Two of these venues may be the North Dakota Art Galley Association for a touring exhibit and Minot State’s Northwest Art Center. For questions, contact Stander at ryan.stander@minotstateu.edu. The North Dakota Geographic Alliance selected Glenda Fauske, information and education coordinator for the NDSU-North Dakota Forest Service, as the 2014 Friend of Geography Award recipient. The award recognizes an individual who contributes to geography education and understands its impact on North Dakota students. The award includes a trip to Washington, D.C., in August for the centennial celebration of the National Council for Geographic Education. An NDGA member since 2006, Fauske has served the K-12 education community for 25 years. The N.D. Forest Service at Bottineau and NDGA annually sponsor Geographically FIT (Forestry Institute for Teachers), a summer professional development opportunity for teachers. The 2015 event, “Energy and Society,” will be July 27-30 at Minot State University. Fauske’s expertise and knowledge of North Dakota forestry are also promoted through Project Learning Tree, which advances environmental literacy and promotes stewardship through excellence in environmental education, professional development and curriculum resources that use forests as a window on the world. In 1973, Fauske completed an associate degree in secretarial science at Minot State. The Minot native continued on at MSU to earn a bachelor’s degree in secondary business education in 1974. NDGA, located on Minot State’s campus, is a member of the National Geographic Education Foundation network of teachers committed to improving geographic education in the U.S. and North Dakota. To learn more about NDGA, visit www.ndgeographic.org. For questions, contact Fauske at glenda.fauske@ndsu.edu. Minot State University invites alumni and friends to a luau party at the North Dakota State Fair on July 22, 5-8 p.m. This event, which is free with paid gate admission, will be in the outdoor area of the Flickertail Gardens. 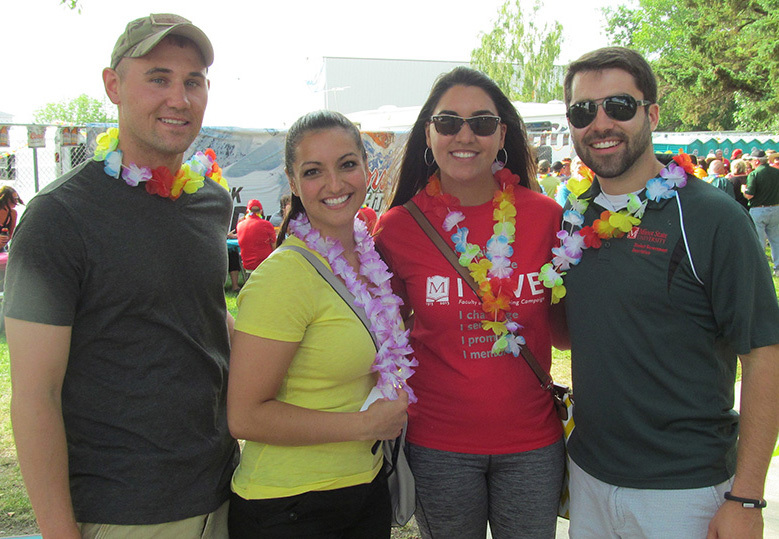 The MSU luau provides the venue for Minot State supporters to rekindle old friendships and create new memories. Highway 55 will begin preforming country and rock music at 6 p.m. There will also be drink specials and other prizes. For questions about this gathering, contact McKechnie at 858-3234 or janna.mckechnie@minotstateu.edu. Minot State University and MSU Beaver Boosters are sponsoring the ninth annual Doug Lockrem Motorcycle Rally, which hits the pavement July 25. Registration begins at Magic City Harley Davidson at 10 a.m. The main ride starts at 11 a.m., following registration. Lockrem, an MSU alumnus and past MSU Beaver Booster president, was a Minot police officer. He attended almost every MSU sporting event and loved being involved in anything related to the university. The money raised from the motorcycle rally will go toward the Doug Lockrem Memorial Scholarship to benefit MSU student-athletes. The cost of the event is $25 with $10 for a second rider. For further information on this event, contact the MSU Department of Athletics at 858-3041. One stop remains on Minot State University’s 10th annual Friend-raising Golf Tour: the Kenmare Country Club on July 30. The format will be a four-person, 9-hole scramble. Registration will begin at 4:30 p.m., with a shotgun start at 5 p.m. A social will immediately follow completion of golf. Non-golfers are welcome to attend. “Kenmare is everyone’s last chance to reconnect with old friends, enjoy being outdoors and golf,” said Janna McKechnie, director of alumni relations and annual giving. Golfers are responsible for their own green fees and cart rentals. Meals and refreshments will be provided by the course, and purchase is optional. It is recommended that golfers interested in carts make early reservations because of limited availability. MSU will recognize area students receiving 2015-16 scholarships, and prizes and T-shirts will be awarded. The Friend-raising Golf Tour is sponsored by Alumni Association, Advancement Office, Athletic Department and the Marketing Office. Call the MSU Advancement Office with questions or to register at 858-3234 or 701-800-777-0750, ext. 3234, or visit the website, www.minotstateu.edu/alumni. The MSU Fall Kickoff Celebration, coordinated by Staff Senate, is Aug. 19, the evening of convocation. Join your counterparts from 5 to 7:30 p.m. at the Scandinavian Park for food, entertainment, live music and fun. 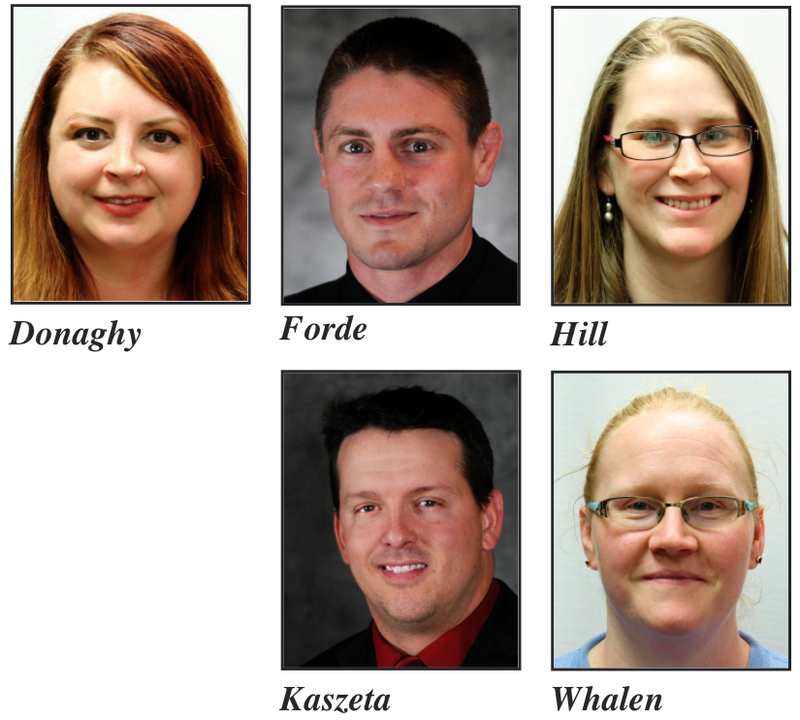 Food service will begin at 5 p.m.
Minot State University welcomes new employees, Katrina “Kati” Donaghy, Evan Forde, Erika Hill, Ben Kaszeta and Magan Whalen. Donaghy, cataloging librarian, comes to MSU from Minnesota State University Moorhead. She received a bachelor’s degree from Bryn Mawr College, Pa., and a master’s degree in library information science from Drexel University, Philadelphia. She enjoys knitting, reading, baking and leading a Girl Scouts troop. Forde, head wrestling coach, was also last employed at MSUM. He earned a bachelor’s degree in exercise science at MSUM and a master’s degree in education (sport leadership/management) from Southwest Minnesota State University, Marshall. Hill, an alumna, is returning to the North Dakota Center for Disabilities as an early interventionist. Her previous employment was with the Idaho Department of Health and Welfare, Nampa. She completed a bachelor’s degree in communication disorders and deaf education at Utah State University, Logan, and a master’s degree in early childhood special education from MSU. She loves rock climbing. Hill and her husband, Marshall, have two sons. Kaszeta, head volleyball coach, previously coached at Jacksonville State University, Ala. The native of Rochester, Mich., received a bachelor’s degree in chemistry from Eastern Michigan University, Ypsilanti. Whalen, a custodian in Memorial Hall, was previously self-employed with Little Sprouts Daycare. She enjoys swimming. Her husband, Jon, is a Dakota Hall custodian, and the couple has a son and two daughter. July 15-Aug. 6 — “Badlands: a geography of metaphors" by Saskatchewan artist Ken Dalgarno, Hartnett Hall Gallery. July 15-Aug. 6 — “Plan C,” an exhibit featuring pottery by Rachel Alfaro, Kalyn Dewitt, Austin Larsen, Sherry Locken, Tyler Loeffler, Emilie Marquardt, Roxi Mathis, Natalie Stivers, Ben Wilson and instructor Linda Olson, Gordon B. Olson Library Gallery. Several of the exhibitors are Minot State University ceramics students, while others are community members who participated in the art department's open studio program. Brent Askvig, North Dakota Center for Persons with Disabilities executive director, was re-elected as the secretary to the Association of University Centers on Disabilities board of directors. In this position, Askvig will not only serve an additional year on the board of directors, but he will also be on the board’s Executive Committee. The AUCD board of directors oversees the operations, policy and programs of AUCD, which supports 120 national research, training and information centers on disabilities throughout the U.S. and its territories. Jamie Hammer, nursing instructor, was recently inducted into Omicron Tau Chapter of Sigma Theta Tau, International Nursing Honor Society. Holly Major, POWER Center director, was reappointed to a third term on the Interagency Coordinating Council, which serves in an advisory and assistance capacity to the lead agency for the Part C of Individual with Disabilities Education program. Additionally, she is in her second term of service on the North Dakota State Council on Developmental Disabilities. NDSCDD advocates for policy changes that promote choice, independence, productivity and inclusion for all North Dakotans with developmental disabilities. The council supports projects and activities that maximize opportunities in these areas for consumers and families. She is also in her second term as the governor’s appointee to the N.D. Early Childhood Education Council. For more information about these or any other boards or commissions, visit http://governor.nd.gov/boards/. Nikki Medalen, assistant professor of nursing, received the Best Practice award for her work in public health practice and policy making from Omicron Tau Chapter of Sigma Theta Tau, International Nursing Honor Society. Medalen teaches public health courses during which students do a community assessment and present findings to the public. Tom Seymour, business information technology professor, is presenting the topic, “It’s All About Personality – Being Effective in the Board Room and Leading Your Organization,” at National Telephone Cooperative Association regional meetings in Portland, Ore., Myrtle Beach, S.C., Minneapolis and Kansas City, Mo., this summer. To learn more, go to http://app.core-apps.com/ntca_nwsw15/event/322fcf21e62f3512923d87d73692008c.